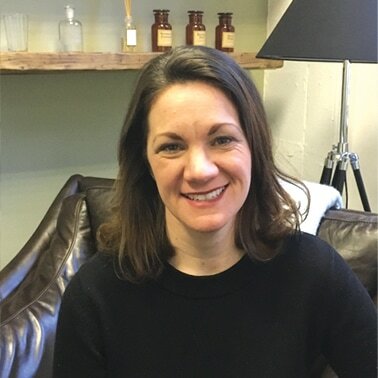 Lisa began her education in massage therapy 10 years ago and has been licensed in the New York State and practicing as a massage therapist full time ever since. With an extensive and rigorous training program, she has experience in both Eastern and Western massage modalities and has gained further certification and training in more focused areas over the years. She is certified in Pre/Post-Natal massage and developed many long-term relationships with mums-to-be. Her other main areas of expertise include deep tissue massage, medical massage, trigger point therapy, sports massage and massage for migraines and Swedish massage. I love what I do. Every client I meet presents a new and exciting opportunity to work with someone to help them feel better in whatever capacity they may need. Each session is focused on your particular and specific needs. For some this will mean a relaxing massage where they can tune everything out for a bit. For others with chronic pain or an injury, this can mean a series of sessions with specific, deep, therapeutic work. For pregnant women, massage will help you as your body changes and prepares for birth. And for athletes, while massage is best used to help prevent injuries while training, it can also aide you in a faster recovery. Drawing on my skills and experience, my work is tailored to what will be most beneficial for you. For more details please contact me via phone or email; I have flexible hours on Saturday from 9am-9pm.